Three in four Latinos are worried about global warming, including about 80% of Spanish-language Latinos. 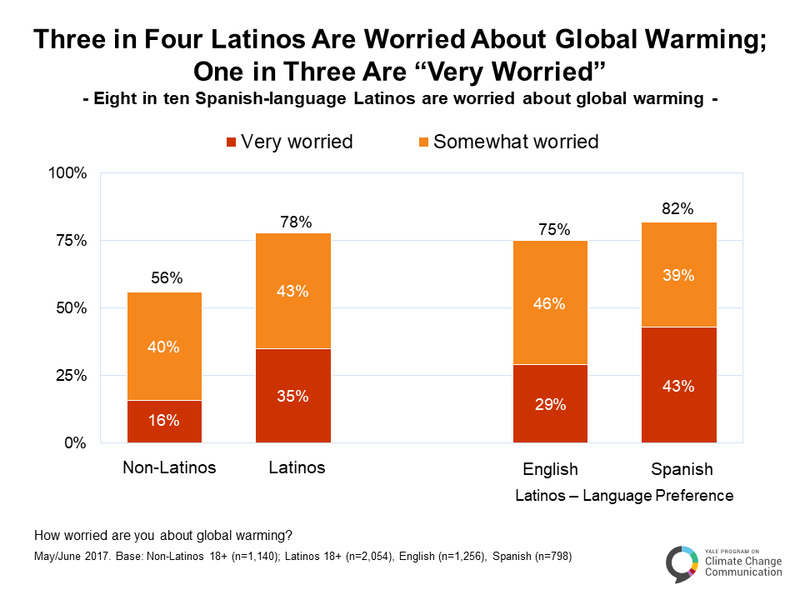 One in three Latinos are “very worried” about global warming. This data comes from our 2017 report, Climate Change in the Latino Mind.